Rule Changes: What Do You Think? No Official Rule book yet but while we this is what we got. When the new rules are published we'll have'em here. No fair catches on punts. Only one foot required in bounds on pass receptions. Cameras sure to be located everywhere : locker rooms, sidelines , helmets, shoes. Players, coaches locker rooms and huddles will be miked. On top of normal salary, players will be paid bonuses if their team wins. Heard. ".the no fair catch rule will go something like this...5-yard halo for the punt returner...chasers on the outside can not release until the ball is kicked...a ball punted out of bounds will be a 5 yard penalty and a re-kick...finally...and the really fun twist of the XFL no fair catch rule is - once the ball travels 25 yards it will be a live ball...kind of like an onside punt...in other words the punt in the XFL will be a really exciting play...no out of bounds...every kick returned and no more watching a ball roll unattended down the field. " The XFL will utilize the "in the grasp rule" that the NFL uses...late hits and hits above the neck are not allowed. I actually like the punt rule here. i like the penalty for going out of bounds. i am not a big fan of the live ball rule though as that creates an almost unfair situation for the receiver in some cases. But overall, i like the rule. I still think it is the time of play that is the main issue and not the standard rules really. i recommend soccer style advertising with limited to no commercials needed. i would also play 2 30 minute halves instead of 4 quarters as this just eliminates extra timeouts and keeps the flow moving with as little interruption as possible. no two minute warning and all time outs are 30 seconds. i see no reason that a half cannot play in 40-50 minutes tops in real time barring a catastrophic injury stoppage doing this. Most soccer games i watch have a full half time, play 90 minutes plus stoppage time and end in no more than 2 hours and 15 minutes and that is with a full half time and an extra half hour + of game time per their sport. I would seriously put my 2 half proposal this way into consideration as i am sure i can get most games done in 2 hours. I like a running clock but would rather keep the 4 quarters. I would also keep the 2 minute warning but change it to 1 minute and use college timing from there (This is what the Indoor Football League does). Clock would stop on change of possession (after the PAT if there is one) and for penalties and injuries. I would keep the breaks to no more than 1 minute (30 seconds would be better), though. I need a few built in breaks to get some snacks or hit the restroom . At most, a 30 second play clock. That would still give us at least 100 plays if the full 30 seconds are used before each play and more if the game clock is not running. The IFL uses a 25 second clock but it starts when the ball is ready for play. That, along with a running clock, gives games only around 90 plays compared to the 120-130 in the NFL. Games have been under 2:30 and that includes longer halftimes and fan participation time outs. They shortened the game but did it by basically reducing the number of plays (less football). I would rather eliminate the standing around time while the clock is running. I don't think a 25 or 30 second play clock would have to look like a hurry up drill either. Many college teams use no huddle and still have the play called from the sideline. Helmet speakers for everyone will help, also. In order to "simplify" the game, should the XFL use the college rule for when a player is down? Basically, a player is considered down when a part of his body touches the ground other than his foot or hand. It would help with the "what is a catch" problem as there won't be as many fumbles on diving or falling to the ground catches if we use the "if it looks like a catch" philosophy. Fumbles on those plays are exactly what the NFL is worried about. Many can be eliminated with the college rule. It would also eliminate that awkward play when both the ball carrier and the defense thinks the player is down by contact but the refs don't. One modification could be to use the college rule only past the line of scrimmage. That would mean the QB stumble, RB slip in the backfield, or WR knee down on a quick screen would still be able to get up and make a play. I hate it when the NFL refs nullify a great athletic pass reception because of "bobbling". They say he bobbled it slightly while going out of bounds so it was not a catch. Change the rule: If the passed ball touches a player in bounds, and then the ball never touches the ground, then somebody caught it. So if it touches a receiver in bounds, he can bobble all he wants as long as he doesn't drop the ball. Also, how about letting the offensive line move slightly. How many times have we fans sat there in the stands because they stopped play because someone saw someone on the offensive line flinch. Then they argue about whether they were drawn off, or whatever. These are athletes. Let them flinch! The can handle it. And would it be a crime if the offensive line could use their hands and go ahead and hold? Let's make the line smaller -- like 7-man football. It is just as exciting. I think they should remove the intentional grounding penalty. That penalty is not always called consistently because it depends on the referees gauging whether or not the quarterback was inside or outside the pocket and whether or not there was a receiver in the area. Referees often judge it incorrectly. The UFL removed that penalty, and it worked well. You hardly noticed a decline in sacks. Grounding the ball is just a smart play. A lot of good ideas in this thread. I am on board with a lot of these. No punting. In the CFL, offenses get 2 downs to gain 10 yards. In the NFL, offenses get 3 downs to gain 10 yards. On rare occasions, a CFL team will go for it on 3rd down and NFL offenses will go for it on 4th down. In the reimagined XFL. An offense gets 4 downs to get 10 yards. 4 chances. More offensive plays. Les stall more ball. If they fail, the opposing team takes over where the drive stalls. Every possession is high risk. Defenses that stop offenses on 4th down will be getting their team the ball back in great position. 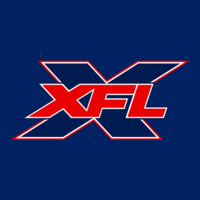 This will increase the number of offensive plays and distinguish the xfl from other leagues of the past. The great drama of 4th down is on every single drive. It’s all in on every drive. The foot still stays in football with kickoffs, field goals and onside kicks. The kickoffs are moved back to the 25 yard line. This will allow for more returns. An onside kick will be even riskier because if you don’t recover. The opposing team will be in scoring position. Field goals remain the same. No extra points. 1 point conversions are from the one yard line. Running game clock, only stops on sideline and incompletions during last 2 minutes of each half. Shorter halftime break. Only 10 minutes long. No coin tosses. The scramble is gone. Make home field advantage matter. The home team on game day gets to decide if they want the ball to start or defer. They also choose the direction. The home team retains the same option in overtime. No switching sides of the field at the end of a quarter. 1 foot in bounds for a catch. If a receiver catches a ball in bounds but is forced out, it still constitutes a catch. No maintaining possession going to the ground or football moves needed. Once it’s caught, it’s caught. No cut blocking allowed. If safety is of primary concern. This needs to be out of the game. Defenders will run more freely to the ball if they know that they don’t have to worry about their legs being taken out under them. As for additional safety purposes, partner up with a company like Zero1 to create new helmets that help prevent concussions. No bump and run. The reverse of the original XFL. You are not allowed to impede a receivers progress when the ball is snapped. This will create an even more wide open game of football. Also if it's caught in the field of play it should be a catch, no feet needed. Targeting rule like college has is a must for player safety. No false start or neutral zone infractions for flinching, only when they legitimately move. They said they wanna speed it up. College inbounds one foot catch rule. - Promotes offense and scoring. College OT rules. - Fun. Exciting. Sounds like XFL. No instant replay. If they don't get it right on the field.... argue about it Monday. (Even with replay don't seem people are too happy) Watercooler talk on Monday over a play controversy would be better then people making fun of the league for the hunt for the ball instead of kickoffs. Or gimmicky stuff.